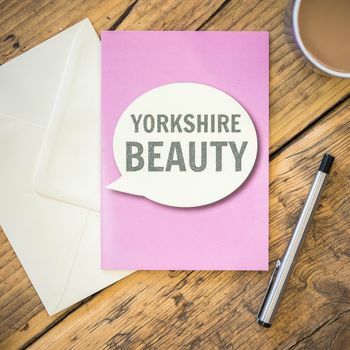 Greetings Card based on British dialect with black flittered letters. 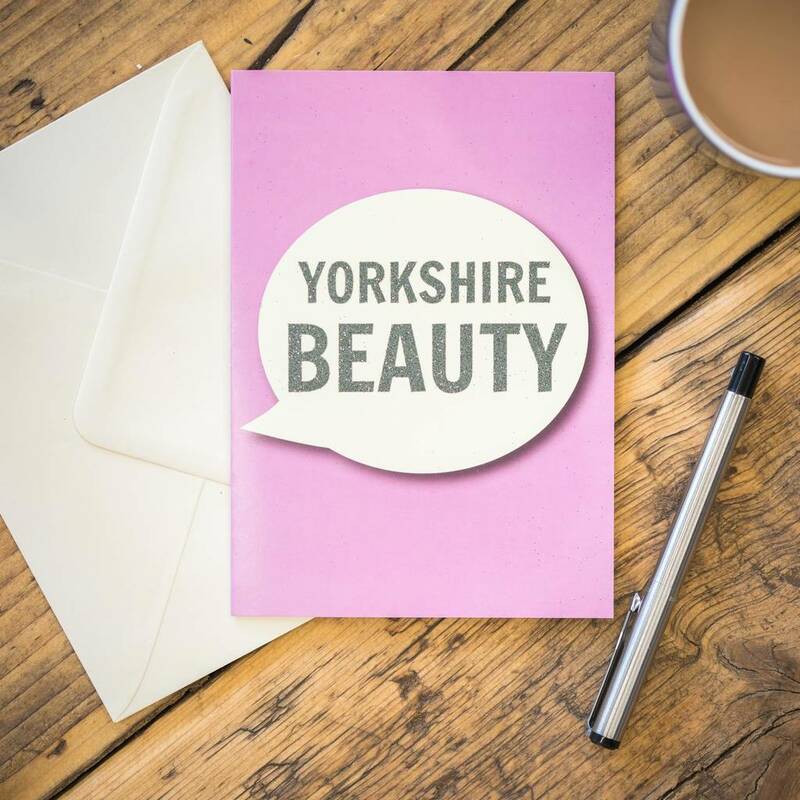 The perfect card for the Yorkshire Beauty in your life! The card comes with an envelope in a clear film bag.